We believe partnership is essential. Triangle, Inc. is connected with employers who see the potential of our participants and give them the opportunity to showcase their ability. 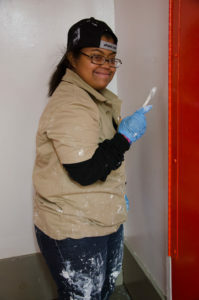 As a partner of Triangle, Inc., your company has the opportunity to promote inclusion and work with people of all abilities. 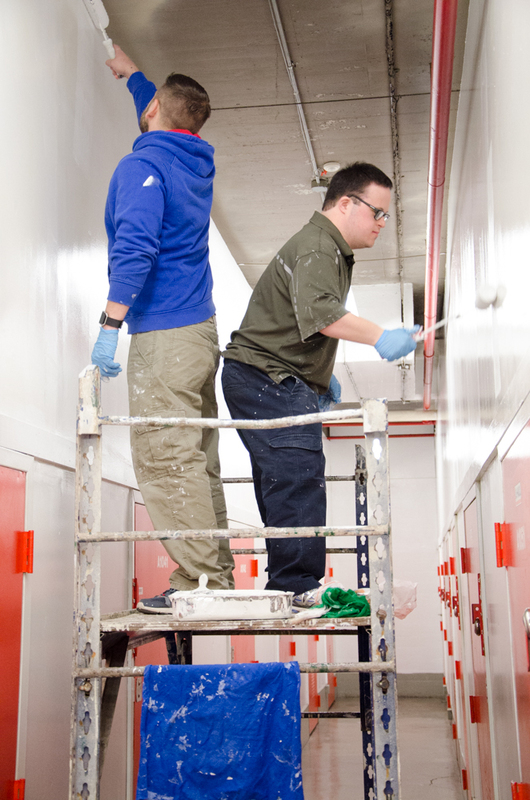 In January, U-Haul hired participants John, Brineilys, and Abdallah to do some repainting with their job coach, Mike. Twice a week, the new employees head over to U-Haul and work on repainting the entire storage facility—a big job that they’re completing in record time. As a small business owner my time is very important. Therefore, it is imperative that my manufacturing process be streamlined and done in the most efficient manner possible. Triangle provides the most hard working, productive and courteous workforce imaginable to help us realize our manufacturing goals. Additionally, the people of Triangle, Inc. are genuinely enthusiastic workers and a delight to work with, rare traits in today’s society. Thank you to all at Triangle, Inc. and keep up the great work!